The Federal Housing Finance Agency reported that home prices associated with mortgages owned or backed by Fannie Mae and Freddie Mac rose from a 5.10 percent increase in January to a seasonally adjusted annual rate of 5.40 percent in February. The National Association of Realtors® reported that sales of previously owned homes rose to 5.19 million in March as compared to expectations of 5.08 million sales and February’s reading of 4.89 million sales of pre-owned homes. March sales represented a 6.10 percent gain over February sales; this was the highest volume of existing home sales in 18 months. Lawrence Yun, chief economist for NAR, said that if strong sales of pre-owned homes continue, 2015 could be the best year for existing home sales in nearly a decade. The Department of Commerce reported that new home sales fell from February’s reading of 543,000 new homes sold to 481,000 new homes sold in March. Analysts expected a March reading of 503,000 new homes sold. This was the slowest pace for new home sales since November, but year-over-year, sales of new homes were 19.40 percent higher year-over-year. The national median home price fell by 1.70 percent to $277,400 year-over-year. Sales of new homes decreased by 33 percent in the Northeast and fell by 16 percent in the South. New home sales fell by three percent in the West and rose by six percent in the Midwest. At the current sales pace, there is a 5.3 month supply of new homes for sale as compared to a 4.6 month supply in February. Analysts said that stagnant wage growth contributed to fewer home sales. According to Freddie Mac’s weekly survey of mortgage lenders, average mortgage rates fell across the board last week. The average rate for a 30-year fixed rate mortgage fell by two basis points to 3.67 percent. The rate for a 15-year fixed rate mortgage also dropped two basis points to an average of 2.92 percent; the average rate for a 5/1 adjustable rate mortgage was four basis points lower at 2.84 percent. Discount points for a 30 year mortgage fell to 0.60 percent; points for a 15-year mortgage were higher at 0.60 percent and average discount points for a 5/1 adjustable rate mortgage fell from 0.50 to 0.40 percent. Weekly jobless claims came in at 295,000 new claims filed; analysts expected a reading of 288,000 new claims and the prior week’s reading was 294,000 new claims filed. Spring break holidays were blamed for higher jobless claims and March job growth hit its lowest in more than a year. Analysts caution against reading too much into weekly fluctuations and prefer to use the four-week rolling average to identify trends in unemployment claims. This week’s housing related economic reports include Case-Shiller 10 and 20 City Housing Market Index reports, the customary post-meeting statement from the Fed’s Federal Open Market Committee (FOMC) and pending home sales data. Last week’s economic news included the minutes from the most recent FOMC meeting, which indicated that the Fed’s monetary policymakers are eyeing a potential increase in the target federal funds rate, but don’t expect to do so immediately. Members of the Federal Open Market Committee expressed concerns about lagging housing markets and noted that inflation has not yet achieved the Fed’s two percent goal. When the Fed decides to raise its target federal funds rate, which now stands at 0.00 to 0.25 percent, Interest rates and mortgage rates can be expected to rise as well. Freddie Mac reported that mortgage fell last week. The average rate for a 30-year fixed rate mortgage fell by four basis points to 3.66 percent; the average rate for a 15-year mortgage dropped by six basis points to 2.93 percent. The average rate for a 5/1 adjustable rate mortgage was nine basis points lower at 2.83 percent. Discount points were unchanged across the board at 0.60 percent for fixed rate mortgages and 0.50 percent for 5/1 adjustable rate mortgages. New jobless claims rose to 281,000 against projections of 285,000 new claims and the prior week’s reading of 267,000 new claims. Analysts said that the Easter holiday week affected weekly jobless claims, and that the varied dates of the Easter holiday and spring break weeks for schools can impact weekly readings for new unemployment claims. The four-week rolling average of jobless claims fell to its lowest reading since June 2000. The four-week rolling average is considered a more dependable source for identifying labor force trends, as it lacks the volatility associated with holidays and one-time events that can cause great variation in weekly readings for new jobless claims. 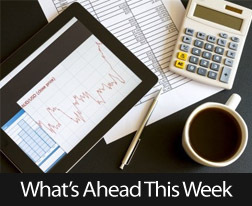 Next week’s scheduled economic reports include retail sales, retail sales not including the automotive sector, the Federal Reserve’s Beige Book report, which includes anecdotal reports of economic conditions reported to the Fed, and Housing Starts. 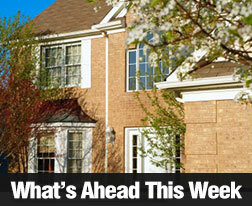 The usual reports for weekly jobless claims and Freddie Mac’s mortgage rates survey will be released Thursday. On Friday, the University of Michigan will release its Consumer Sentiment report, which provides indications of how American consumers view current economic conditions. While general in scope, consumer sentiment can suggest how consumers view buying homes. A lack of positive sentiment about the economy in general and jobs in particular suggests that fewer Americans may be ready to buy homes. Increasing positive sentiment indicates less concern about economic conditions and could point to more Americans entering the housing market as the peak home- buying season gets underway.